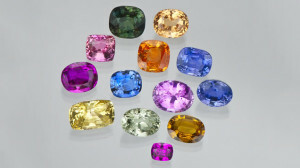 Some examples of sapphire color variation. Those born in September call the sapphire their own. Sapphires, the sister stone to the ruby (which is really a red sapphire), are the the second hardest gemstone, rivaled only by the diamond. Corundum (a.k.a. the mineral that makes up rubies and sapphires) comes in every color of the rainbow. Many colors are shown in the photo above. 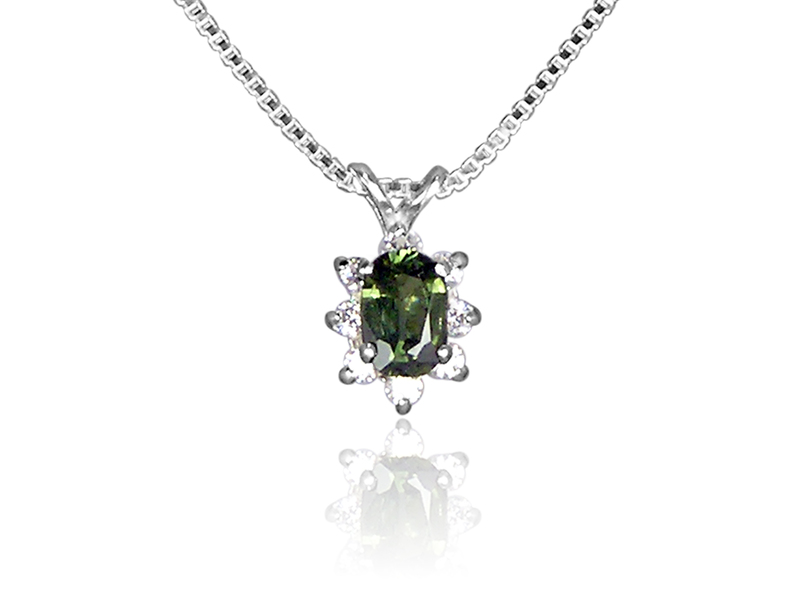 Aside from the traditional blue, popular colors include pink, yellow, and green, like the pendant below. It is most commonly seen in shades of blue, blue-green, and blue-violet. The most prized varieties are a rich, intense shade of blue that is not too light or too dark. 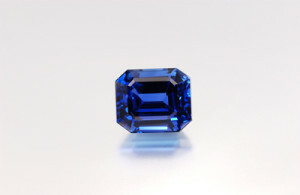 The best sapphires are said to come from Sri Lanka and Madagascar, although sapphires are found in many other places around the world, including Thailand, Australia, the U.S. and China. A high quality sapphire is deep blue in color. Wearing a sapphire is said to protect your loved ones from harm. If you are a Taurus, wearing sapphires has been said to cure and protect against mental illnesses, which is implied in the Gregorian Birthstone Poem at the top of this blog. It is also said to help cure rheumatism, work as an anti-depressant, promote clairvoyance, and aid in astral projection, to name a few traits. Since the middle ages, sapphires have been a popular stone amongst priests and royalty. Clergymen from medieval times wore blue sapphires to symbolize Heaven, and commoners thought the stone itself attracted heavenly blessings. 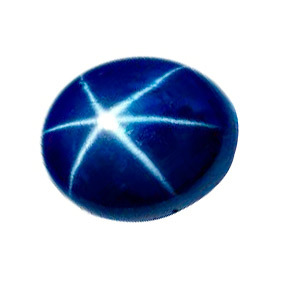 Sapphire stones were regarded as a talisman to ward off evil. Star sapphires were said to be so powerful that they would continue to protect the wearer as it was passed on to someone else, and was used primarily as a protective stone for travelers. Another legend says a venomous snake encased in a container made of sapphire would die. It represents faithfulness and sincerity in relationships, and symbolizes peace, joy, and wisdom. Metaphysically, it is a great stone for healing and protective purposes, and for mental growth. Thinking of giving a sapphire as a gift? Your September girl will be blown away! Sapphires (along with rubies) are also popular in engagement rings due to their superb hardness (Prince William gave a sapphire to Kate Middleton for their engagement!). Because of the amazing variety of colors they come in, you could even pick a stone in her favorite color. She will love you for being so thoughtful. Think also of giving them as a 5th, 23rd, or 45th wedding anniversary present. Star sapphires are a traditional gift for a 65th wedding anniversary as well. The article was very informative, thanks a lot for such a good article.